So, here we are again, after the summer break the new sporting season is about to start in Doha. The development of activities at Aspire academy is now moving faster than ever. We are starting an exciting project with the Qatar Athletics Federation to work closely together to develop talents as well as establish a sustainable structure to integrate coaching, science and medicine. Since September all QAF athletes and coaches will be training at Aspire and we will be working together to realize this vision and be ready for Doha 2019 and beyond. This project really excites me as I can see this being a true legacy project for the state of Qatar and I am proud to be part of it. We are also contributing to the international community with a conference, which has now become an annual event. In fact, after the success of last year’s conference we have organized another event on coaching young athletes with some excellent speakers and are looking forward to welcome all our coaches, and many coaches from around the World to attend as well. The details of the conference are available here. 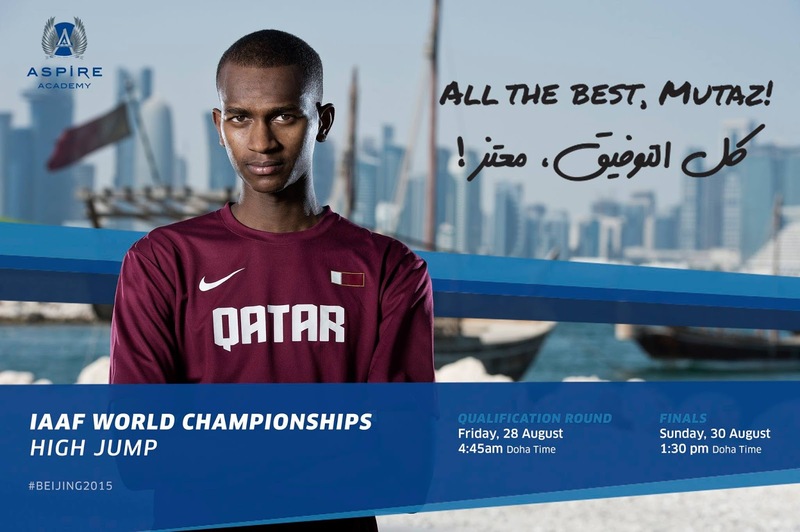 It is a very exciting time for the academy as two of our former students are participating in the World Championships in Beijing and one of them can hopefully bring home a medal (fingers crossed Mutaz and coach Stan!). Our service delivery to Aspire athletes and coaches keeps improving and we are introducing more detailed monitoring and reporting activities to be able to influence practice and document the coaching approaches being used in our sports. The centralized database has now been implemented and more minimally invasive and wearable technologies are being developed and deployed to understand more about coaching young athletes. Our applied research activities are continuing and we plan to submit more papers to describe our work as well as challenge current practice on young athletes. I promise to use to blog to keep everyone up to date as well as working with Aspire to communicate through our social media/website channels a bit more about the activities we conduct. On the science front, we have also decided to make sure we have an annual scientific conference after the success of the Talent ID one we organized last year. This year our focus is on training monitoring and we have some amazing speakers confirmed as well as a great-exciting programme. The conference is completely free and all details are available here. This is a great opportunity to learn and network as well as a excellent chance to come to visit us, see our wonderful facilities and possibly talk about collaborations and/or bringing your athletes in Doha for training camps. So, as you can probably gather from my writing, I am looking forward to this sporting season and I hope to meet/see many of you in Doha at one of our events and/or at one of the many international competitions hosted by the state of Qatar.